Three to Five Links Every Weekday - UX, Design, and the Digital World Around You. BMW has held its “Digital Day” which provides a glimpse at the some of the technologies that the company is working on. 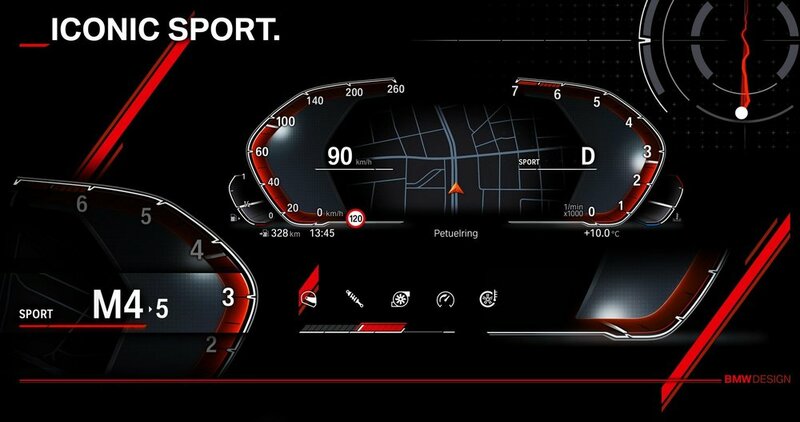 One of the most notable things shown off at this year’s event was an all-digital instrument cluster which features a larger display and new graphics. As you can see in the images, the display has a fuel gauge and speedometer on the left as well as a tachometer and coolant gauge on the right. The display also has a large central area which can be used to show navigation data. BMW declined to go into specifics but the instrument cluster will soon find its way into production models as previous spy photos have shown the display in the 7-Series, 8-Series and X7. Up until a few years ago, interconnected devices were more dream than reality, and it’s easy to feel like the fitness tracker fad was the beginning of wearables. In reality, of course, the groundwork was laid decades before— years even before the Internet was launched. With all the amazing potential for wearable IoT devices, it’s important to realize how far we’ve come—and how many devices didn’t end up changing the world, but did make important contributions to the future of IoT. Even dreams of the future in culture and art laid the framework for one of the world’s most exciting industries. Let’s take a look at how we got to today’s incredible wearables—wearables that will one day be replaced by even more sophisticated technology. Finding ways to keep people excited about popular game and movie franchises just became a little easier, as Sony’s God of War and Disney’s Star Wars are now leveraging ARKit to offer interactive augmented reality experiences on iOS 11 devices. Fans of Star Wars will be particularly excited to see a longtime wish fulfilled via the magic of AR. The company behind Facebook’s massive data leak scandal, Cambridge Analytica, attempted to develop its own cryptocurrency this past year and intended to raise funds through an initial coin offering, Reuters and The New York Times reported today. The digital coin would have helped people store online personal data and even sell it, former Cambridge Analytica employee Brittany Kaiser told the Times. Cambridge Analytica, which obtained the data of 87 million Facebook users, was hoping to raise as much as $30 million through the venture, anonymous sources told Reuters. Cambridge Analytica confirmed to Reuters that it had previously explored blockchain technology, but did not confirm the coin offering and didn’t say whether efforts are still underway.